Discover the Corrèze region at F1 Bricve Ussac. Located 10 minutes from the city center and all amenities, this budget hotel is suitable for business trips as well as family excursions. 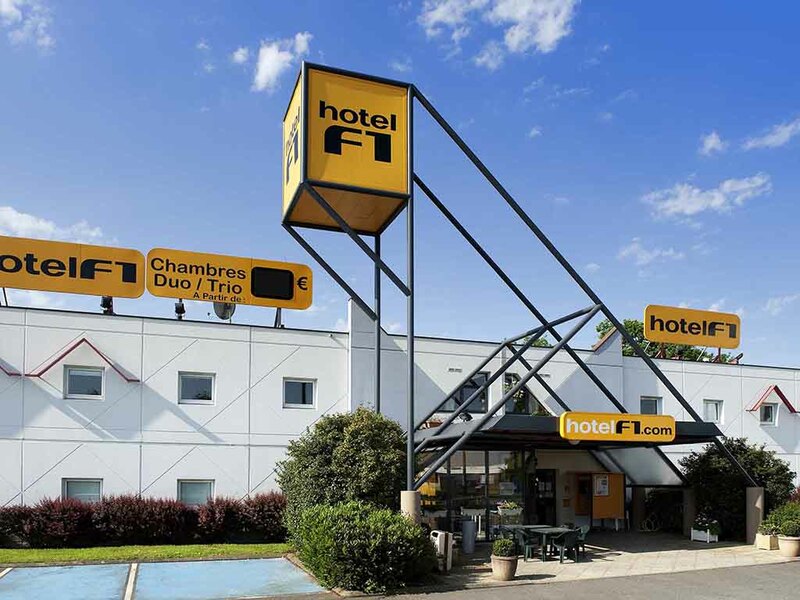 At the edge of Le Midi, hotelF1 Brive-Ussac, located at exit 50 of the A20 highway and 3.1 miles (5 km) from the city center, offers you fast access to the finest attractions in Périgord and Quercy (including the caves of Lascaux, Padirac Chasm, Turenne, and Collonges la Rouge). Big smile when arrived, was offered a 3€ breakfast, and room key. Room clean and warm. Bed fine. Could do with a bit of paint around the windows, but not to determent. Good rooms and quiet location. Staff very helpful. Handy place to stay. Near motorway. Basic and clean. Checking in was challenging and the receptionist was not particularly helpful. There was no cold milk for breakfast. Generally good and hard to beat on price. However bedroom was too hot and hard to sleep. If it had been a hot day, it would have been unbearable. SMS system for room number and passcode didn't work. I knew F1 was cheap, I didn't expect it to be so cheap! If air conditioning is too expensive at least put some vents in the room. The night was unbearable. And after such a horrible night having to be confronted with such a primitive, incredible disappointing breakfast, that was too much for me. I have cancelled the reservations for the return trip and I will be looking for another hotel. One thing is reducing costs by reducing service. Another thing is reducing costs by giving bad service.